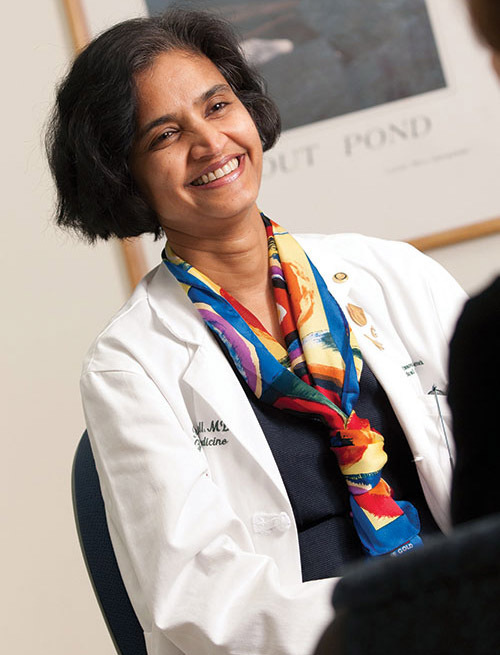 Geisel School of Medicine faculty members are renowned not only for their leadership in diverse facets of medicine, but also for their personal approach to teaching. They serve as your instructors, role models, mentors, and team-members in the clinic and in the lab. They are vested in your success at school and beyond and demonstrate their commitment in many ways, whether it's organizing a weekend review session or inviting you to their home for Thanksgiving dinner. As one student says, "The professors don't just have office hours from one to three on a Friday afternoon. Their doors are open all the time." 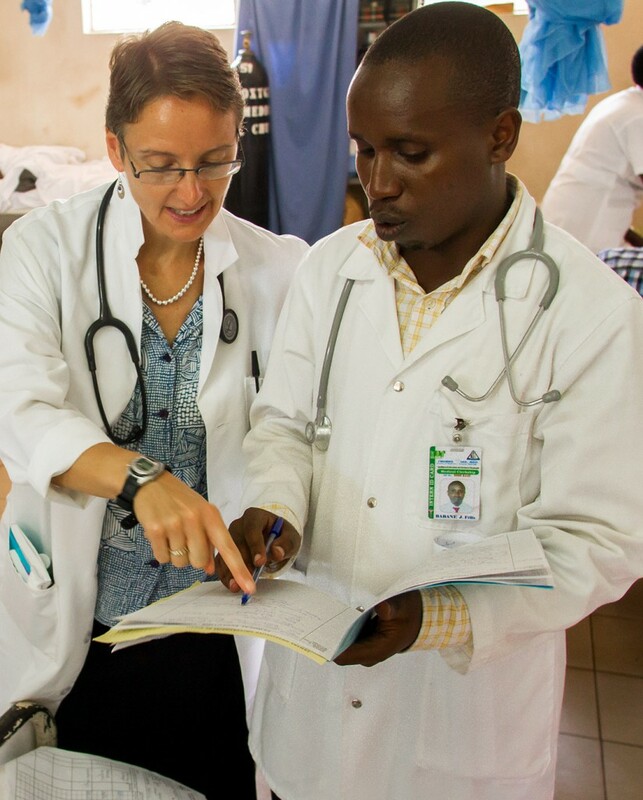 Dr. Lisa Adams works with a colleague at a hospital in Rwanda. As a field of study, global health didn't exist when Lisa V. Adams, MD '90, was a Dartmouth medical student in the late 1980s. Nor were there programs available to help shape the experiences of students like Adams who were interested in working with medically underserved international communities—students were left to their own devices. Lack of formal programs did not stop Adams from finding her own path, and Adams is now using her more than 20 years of global health experience to help students coordinate international service-learning experiences through Geisel School of Medicine's Center for Health Equity. 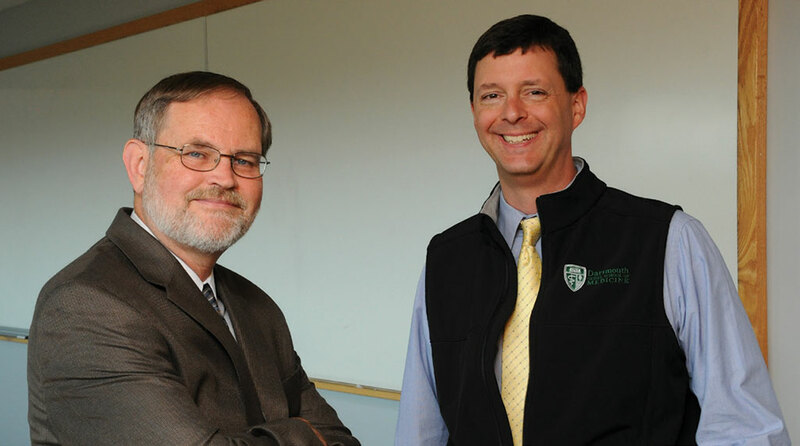 Read more about Adams and the Center for Health Equity. Associate professor of medicine and director of "On Doctoring"
Pinto-Powell always wanted to be a doctor, but there was a time along the way when it wasn't clear whether she'd meet that goal. She was born in the Indian city of Bombay (now called Mumbai). Read more about Pinto-Powell and her work with medical students. 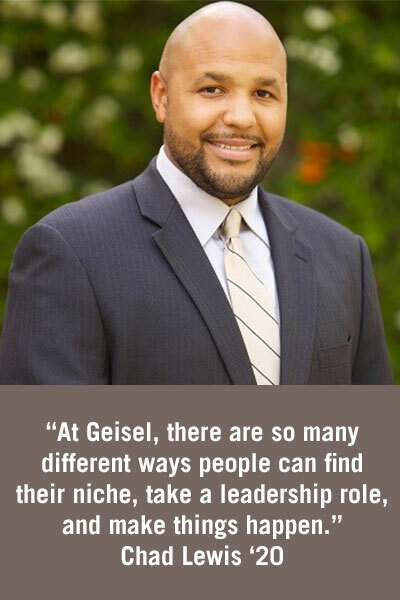 As a faculty member at Geisel, Stephanie White recently realized a long-held goal of working in minority affairs when she was named the Geisel Diversity Liaison for Student/Resident Advising. In this new role, she is providing mentoring and guidance to medical and graduate students, as well as residents, during dedicated office hours at Geisel and at other times to accommodate busy schedules. 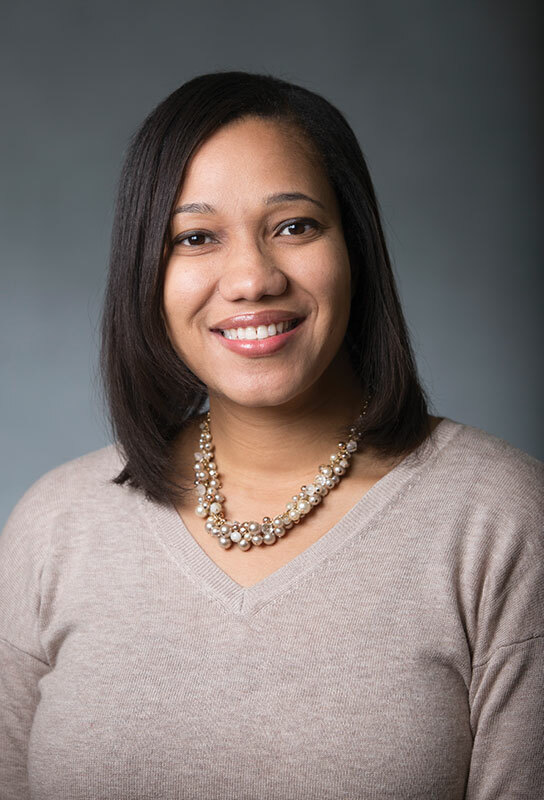 White's interest in minority affairs dates back to her medical school days at the University of Pittsburgh, where she saw how beneficial a minority affairs department could be for medical students. Not long after arriving at Geisel from Jackson Memorial Hospital in Florida, she naturally began reaching out to minority medical students and residents on the Lebanon and Hanover campuses. Read more about Stephanie White and her work with medical students. 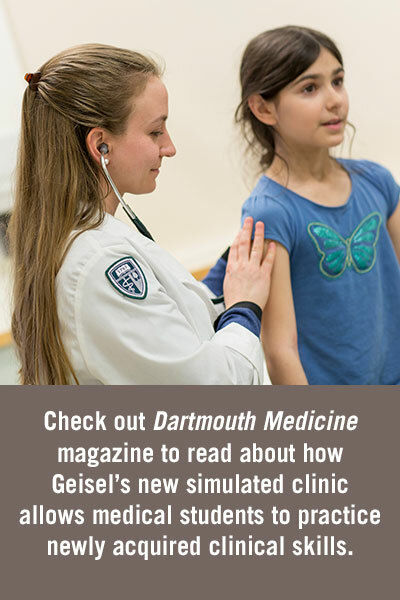 Geisel has created its new Department of Medical Education to meet the changing needs of students, as well as new challenges facing medical education. Centrally located on the Hanover campus near Geisel's main teaching spaces, and led by a core group of faculty members whose primary focus is the education and support of medical students, the new department "allows us to deliver a consistent, integrated medical education and develop the faculty who will lead the continuous improvement of our curriculum," says Greg Ogrinc, MD, MS, interim senior associate dean of Medical Education at Geisel, who notes that courses were previously run by the individual departments. "Medical education is facing a number of challenges," says Rand Swenson, MD, PhD, chair of the new department. "One is that we recruit and highly value students from much more diverse backgrounds, which are really important for our classes and for the future physician workforce. But what that means is that the experience transitioning to medical school needs to be more individualized and based on the needs of the particular learners." Having a dedicated group of faculty members meeting and talking regularly in a space that is welcoming and homelike for students, faculty, and staff will facilitate that process. "Medical students should see a lot more of their faculty and be able to develop strong relationships with them," adds Swenson. "This should help us to create a better support system for them." Read more about the new Department of Medical Education.